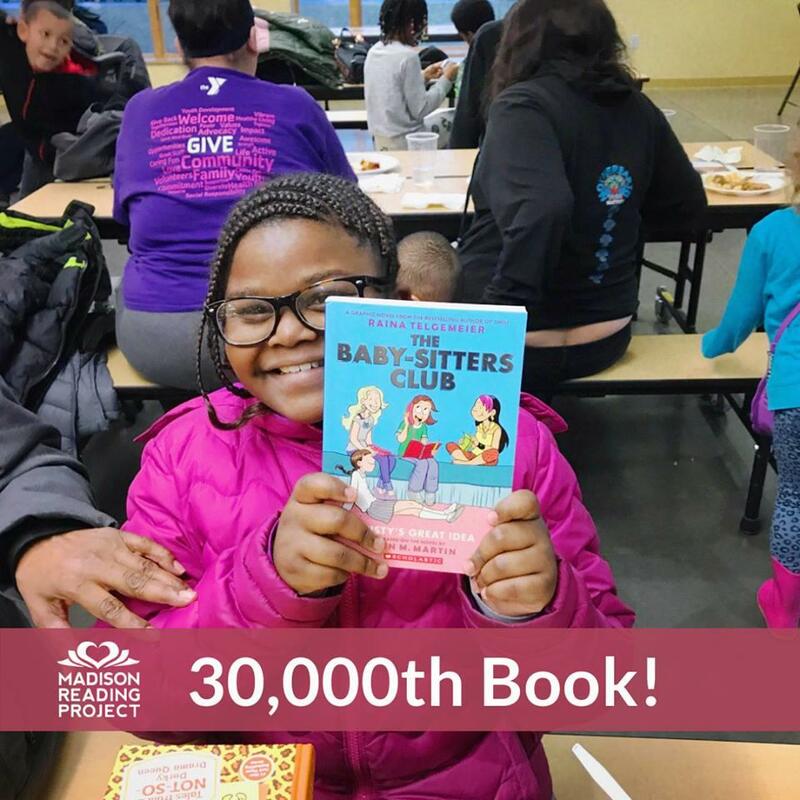 Lailah had the honor of selecting the 30,000th free book from Madison Reading Project. Rowan Childs spent her childhood on the move. While her father’s corporate career required the family to relocate every few years, her mother made sure one thing in their lives remained constant: the family’s ever-growing book collection. “Books were treasures in our house,” remembers Childs, who grew up in England, Germany, and the U.S. When Childs became a mother herself, she began working to instill those same values in her own home. When her son was in kindergarten, though, he wasn’t as interested in reading and she began to worry about his ability to keep pace with his reading level. “I was always trying to come up with sneaky ways to get him to read more,” she says. It was also around that time that Childs, a sales and marketing professional, was looking for ways to give back. She attended Madison Nonprofit Day and began networking with community leaders to better understand the needs and opportunities. The same week Childs met Green, the Wisconsin Council on Children and Families (now Kids Forward) released the Race to Equity Report. Dane County, the 2013 report revealed, had the worst racial disparities in the country. “Will literally had the report in his hands when we met,” Childs remembers. 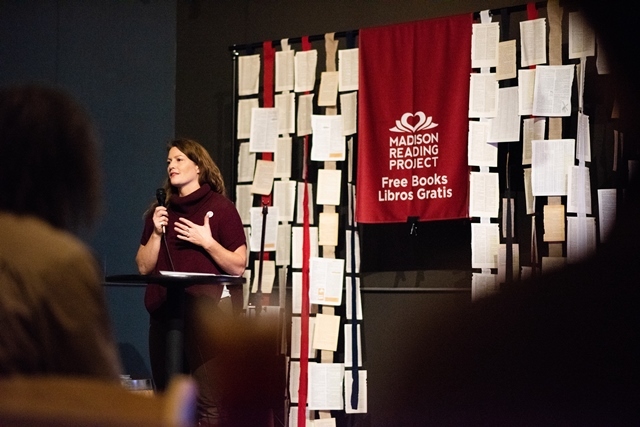 With Green’s help, Childs found a way to give back through her love of books, Madison Reading Project was born, and her efforts to help reduce educational disparities have been growing ever since. That first year, Childs purchased 200 teacher-recommended books for the Salvation Army and piloted a program for 30 children to choose their own new books and participate in age-appropriate literacy activities. Fast forward five years, and Madison Reading Project surpassed its goal for 2018 of providing 30,000 new and gently-used books and 100 programs to children throughout greater Madison. Ever the visionary, Childs has ambitious plans for 2019. With a $50,000 challenge grant from Madison Community Foundation’s Community Impact Fund, Madison Reading Project will purchase The Big Red Reading Bus to deliver books and facilitate engaging literacy programs at community centers, shelters, schools, libraries, festivals and other places where children and families visit. The total cost of the project is $122,100, so Madison Reading Project is raising $50,000 to meet the MCF match and receive the grant. An anonymous donor also worked with MCF to award a $12,000 grant from a charitable fund that will help close the remaining funding gap. Tears well up in her eyes when Childs describes the looks of joy and excitement she sees on the faces of children, many of whom have never been able to shop for their own book. It’s so important, Childs says, for kids to experience the freedom and autonomy of choosing their own, special book. For Childs, Madison Reading Project has become a healthy reminder of what she once took for granted. So what was Childs’ favorite? Do you have new or almost-new books you’d like to donate to a worthy cause (Bilingual books are always needed!)? Interested in volunteering, or hosting a book drive for Madison Reading Project? Learn how at www.madisonreadingproject.com.